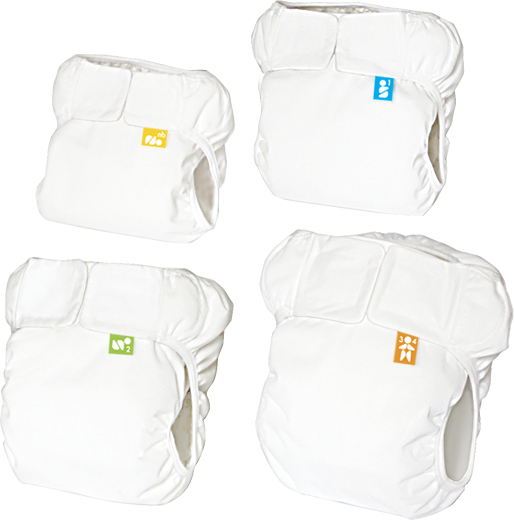 Our washable eco-diaper lets you choose when to use a washable diaper pad or a disposable diaper pad. Made with beautiful high quality fabrics, Mabu Baby Eco-Diaper goes on easy like a disposable, with four easy-fit sizes that are like disposable sizes. The waterproof diaper outer has a snap-in diaper pad holder. You can use either our washable diaper pads or disposable diaper pads in the pad holder. Wrapping our bio-liners around the pad makes it easy to peel off the poo and shake it into the toilet.